Every student deserves to learn and thrive in school—including students who are transgender. And our schools should strive to protect all students from bullying, harassment, and discrimination. Although our country has made great strides in LGBTQ protections in some states, most LGBTQ youth today still experience increased levels of bullying and harassment in schools -- including 3 in 5 trans youth who report being forced to use school restrooms that don’t match their gender identity, as reported in GLSEN’s National School Climate Survey. For example, forcing a student who identifies and lives life as a girl to use a boys restroom can put them at severe risk for harassment and assault. By signing up as a safe schools advocate, we’ll let you know when harmful legislation is proposed in your state that would cause harm to queer and trans youth, and we’ll make it easy for you to take action to speak out and stop it. These blog posts are writing by the GLSEN National Student Council, a group of 18 youth organizers leading the safe schools movement. Organize Ally Week at your school! Use the Hallway PSA video to launch a conversation about allyship for trans and gender non-conforming youth in your school during Ally Week, from September 24-28. Register for Ally Week and download free school resources. GLSEN and MAP launched this campaign and public service advertisement, "Hallway," to educate the public about the experiences and needs of trans youth and to build a greater base of support to fight local anti-LGBTQ legislation in the coming year. 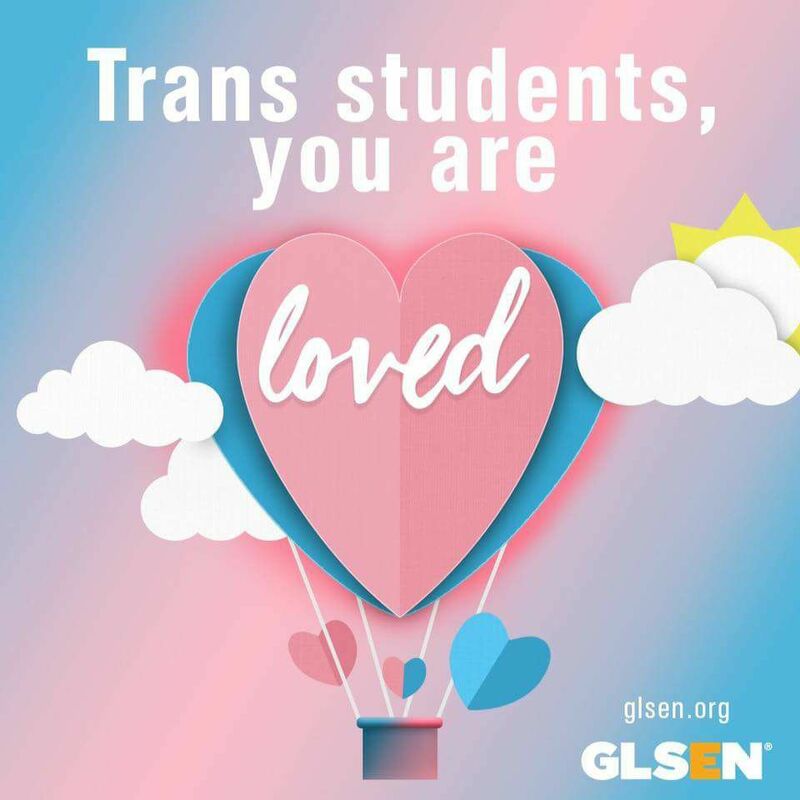 With the support of more than 1 million safe schools advocates nationwide, each year GLSEN helps train more than 3,500 educators, supports more than 6,500 student-led GSA clubs, provides more than half a million free resources to students & educators, and defeats policies that would cause harm to LGBTQ youth. Signup today to commit to being an advocate for LGBTQ youth.